I have seen much ranting about cyclists ignoring traffic lights before now, but I am really fed up with the traffic lights near me. Once again they totally ignore a cyclist and remain RED constantly. After 5 minutes I dismounted and crossed the junction as a pedestrian. 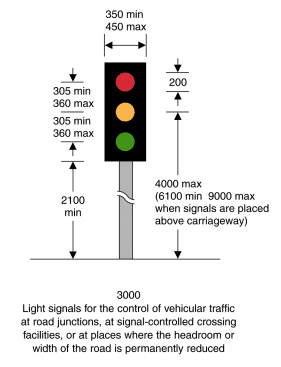 How the hell can anyone expect cyclists to follow the law if they make traffic lights that cannot "see" them. I assume it is the council that run them - I will have to write another letter about how Bracknell Forest Borough Council are clearly prejudice against cyclists. Sigh. This came up in my RSS reader and I assumed it was from one of my local (Ottawa, Canada) blogs.... It's reassuring & sad to know that over 5000km can't make local politicians any better. I have written to the council before on this and been ignored. There are two sets of lights like this in town which drive me crazy, I wrote to my MP about them but the response was not at all helpful. Hope you have more luck. I usually report faulty traffic lights to the local police. While in most cases it's that the loop isn't sensitive enough, sometimes they can be made to work by cycling a bit further out from the road, as quite often they don't run the induction loop far enough across to get where cyclists usually are (look for the bits where they've sealed around where they put the cable in, and make sure you cycle over a few of them). It's highly unusual for traffic lights to fall into a permanent red phase - even if they think there is no traffic they should cycle, albeit much less frequently. Sounds to me more like a broken controller than an evil plan by the council. Well, a full 5 minutes of occasional cars on main road in various directions being accommodated by the lights but myself being ignored, including long gaps of no traffic. I suspect we have a permanent RED there. Lay the bike down on the sensor loop? I came across a temporary traffic light junction in Colchester one day where the lights were permanently on red in all directions. After a while, people realised this and edged out to cross the junction but this made it somewhat uncontrolled and chaotic and, in my opinion, dangerous. So, I called the local Police (on the non emergency number). I was told that they couldn't do anything about it and they'd contacted the local council, but I;d have thought if it was a matter of public safety on the roads, the Police should have done something. I once waited on my bike at a junction for around 5 minutes. It was at night and it was quiet and just as I was about to dismount and cross at the crossing a pedestrian turned up on the other side of the road. I asked him to "push the button" as he walked past and the lights changed instantly. This seems to be a recurring bug in lightly used junctions, especially at night. Well, I don't know if you know how lights "see" a car, but it's actually a giant "metal detector" buried in the road that will detect a change the electromagnetic(EM) field, usually from the electrical system in the car where the engine block is. Bicycles do not put out a strong/large enough disturbance in the EM field to trigger the light to change for you. Indeed, which makes it not fit for purpose. The objective is to control vehicle traffic, and bicycles and horses are all valid traffic. A light that cannot "see" such traffic is faulty. If it is designed not to "see" such traffic then it is faulty by design but still faulty. Motor Cycles have the same issues; a large strong magnet fitted to the bottom of the frame usually does the trick I believe. Could you do something similar with Cycles?